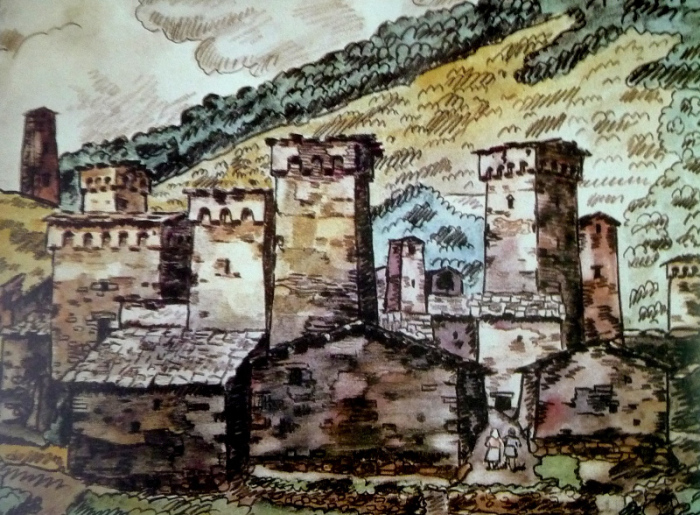 In 1939, Georgian artist Davit Kakabadze (Georgian: დავით კაკაბაძე) (1889 – 1952) produced a very fine series of paintings of the medieval fortified towers in Georgia’s Svaneti region. 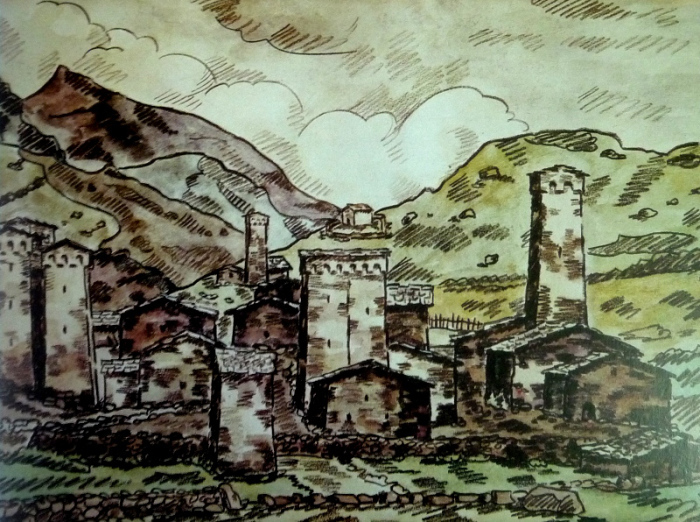 Svaneti by Davit Kakabadze. 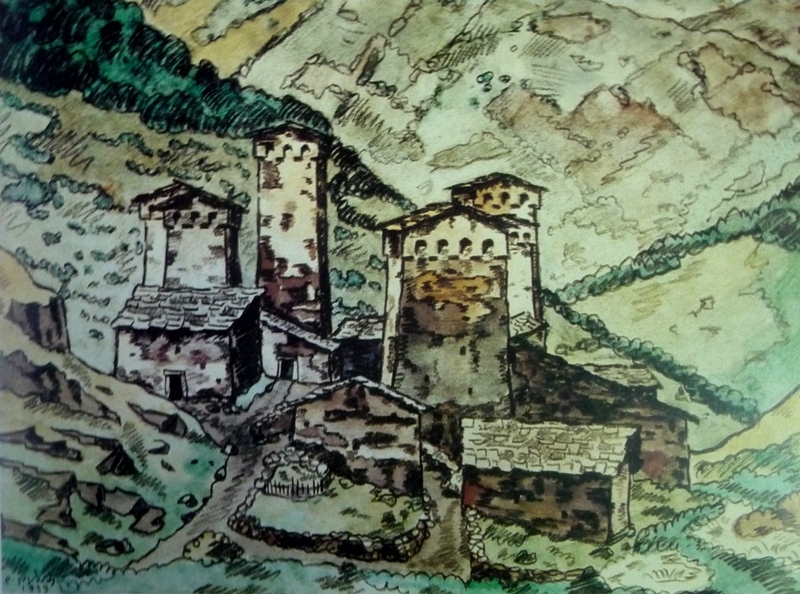 Painted in 1939. 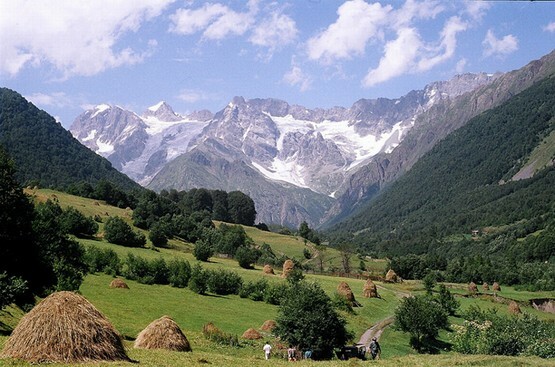 A talented artist, Kakabadze was also an innovator in the field of cinematography as well as an amateur photographer. Davit Kakabadze’s paintings recount the stories he heard and experienced during his travels. 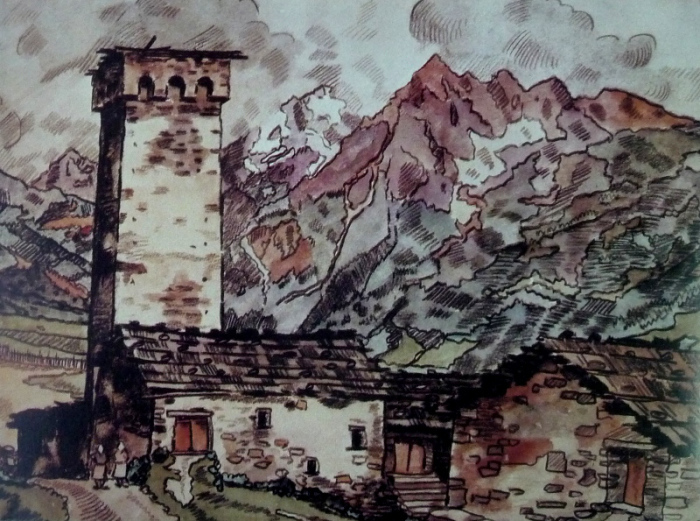 The works of the artist include many landscapes. In 1928 he became a professor at the Tbilisi State Academy of Arts in 1928 but was dismissed twenty years later by the Soviet authorities for “failure” to adapt to the dogmas of Social Realism. He died of a heart attack in 1952 and is considered today to be one of the most prolific, interesting and intellectual painters in Georgian art history.